Amazon Web Services is releasing AWS Backup, a centralised service for customers to back up their data for regulatory compliance requirements. AWS Backup, which can be used across AWS services and on-premises, gives customers a single service to configure and audit the AWS resources, automate scheduling, set retention policies, and monitor recent back-ups and restores in one place. Through the AWS Management Console, customers can create a policy that defines how frequently back-ups are created and how long they are stored. Bill Vass, VP of storage, automation, and management services, AWS, says the firm designed AWS Backup as “one place to go” rather than “having to do it across multiple, individual services”. Customers can also back up on-premises application data through the AWS Backup integration with AWS Storage Gateway. 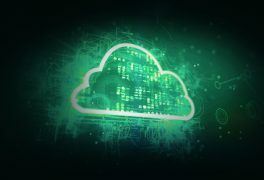 State Street Corporation, a provider of financial services to institutional investors; and Rackspace, which delivers IT-as-a-Service, are part of the first few users of the new solution.